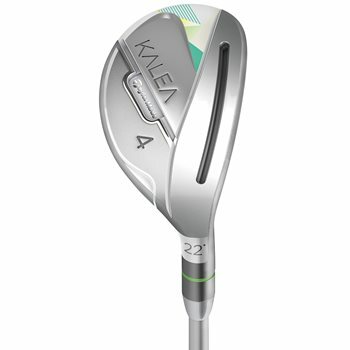 The TaylorMade Kalea is the first line of golf clubs to be made specifically for female golfers by TaylorMade. They are designed to be lightweight for increased club head speed and feature Speed Pocket Technology for added ball speed and distance. They also have a low kick point in the shafts to allow for a higher launch which gets the ball the air easier and farther.